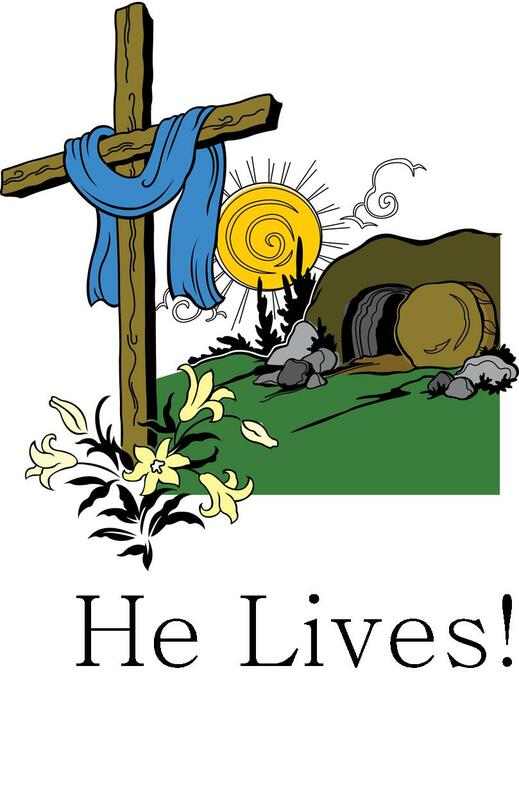 Join Us for “He Lives” …a special family Easter Event!! Invite your family and friends to join us Easter Sunday, April 21st, for a family celebration of Easter at 10:15 a.m. in Fellowship Hall. 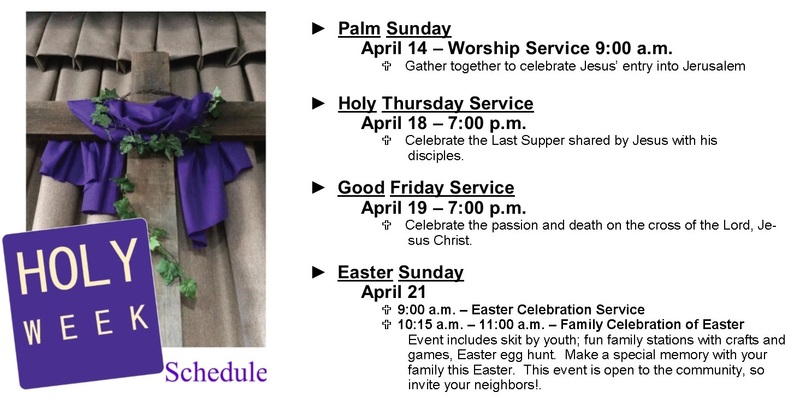 This event is in lieu of our regular children’s Sunday School classes and parents are encouraged to join their children in exploring the real reason for our celebration of Easter. This free event includes a skit presented by our youth and an opportunity to visit fun family stations with crafts and games that share the Easter story and an Easter egg hunt for the children by age group! Make a special memory with your family this Easter. Mark this exciting event on your calendar so you won’t miss out!! This event is open to the community so invite your neighbors! Life Line Screening, a leading provider of community-based preventive health screenings, will offer their affordable, non-invasive and painless health screenings at Good Shepherd United Methodist Church on Saturday, May 18, 2019. Five screenings will be offered that scan for potential health problems related to: blocked arteries, which is a leading cause of stroke; abdominal aortic aneurysms which can lead to a ruptured aorta; hardening of the arteries in the legs which is a strong predictor of heart disease; atrial fibrillation or irregular heart beat which is closely tied to stroke risk; and a bone density screening, for men and women, used to assess the risk of osteoporosis. Register for a Wellness Package which includes 4 vascular tests and osteoporosis screening from $149 ($139 with our member discount). All five screenings take 60-90 minutes to complete. In order to register for this event and to receive a $10 discount off any package priced above $129, please call 1-888-653-6441 or visit www.lifelinescreening.com/communitycircle or text the word circle to 797979. Plans are underway for VBS 2019! You are encouraged to mark your calendar now with the days and times of 2019 Vacation Bible School. VBS will be a 3-day program in the evening the week of Tuesday, June 18th, Wednesday, June 19th, and Thursday, June 20th. The theme this year is "CSI," which stands for "Christ Says It." Children will investigate The Truth, explore God's Word, and discover God's love as presented through Jesus' parables of the lost. We need volunteers to lead various stations (i.e. Games, Music, Missions, and Science), as well as those who would like to shepherd groups of children as they make their way throughout the stations each evening. If you feel called to one of these important roles, please connect with Susan Nyquist at susanbjoyful247@gmail.com or the church office. Our Jr. Church program allows our youth to have an age appropriate worship experience on the Sundays when communion is not served. Deborah Baker prepares a program including music, Bible stories and activities to help prepare our children to embrace the worship experience that adults enjoy in the sanctuary when they enter 6th grade. Deborah is in need of an extra pair of hands each Sunday to help with passing out activities and supplies, watching over children who need to leave to get a drink or use the restroom. She has done all the preparation and presentation but just needs support. Can you be that support for one Sunday a month or on occasion? Please contact Deborah Baker at 317-322-0249 or 317-379-9865 or email her at dbaker6409@gmail.com if you can assist her and let her know what dates you are available. Jr. Church is offered all but the first Sunday of the month. 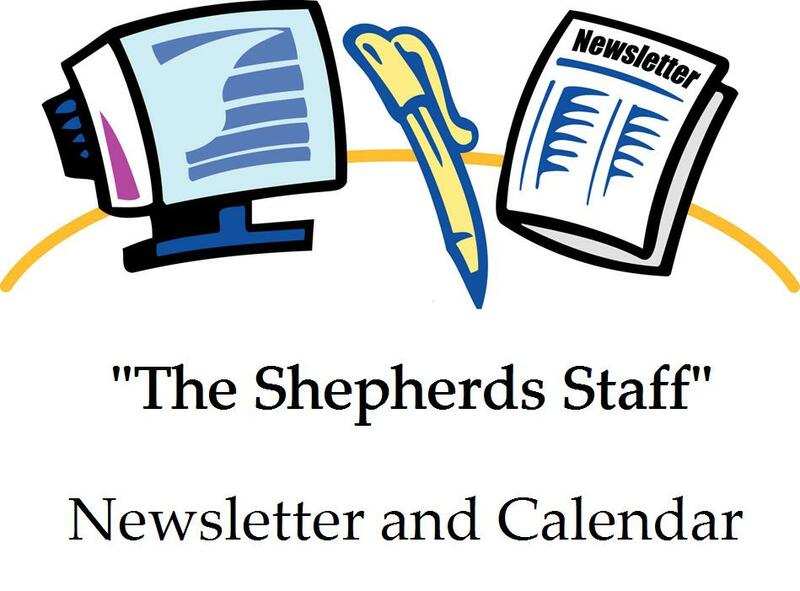 Good Shepherd United Methodist may post pictures or videos of members, guests and their children around the Church, on the website and other social media sites, and in promotional material for the Church. If you wish to not be included in these publications, you should contact the church in writing and ask that your image not be included.